Subscription is not migrated, migration finishes without any information. Subscription user belongs to a reseller on the source server. At the same time, the customer does exist on the target server but belongs to admin. Plesk Migrator bug #PMT-4487 which is planned to be fixed in future product updates. 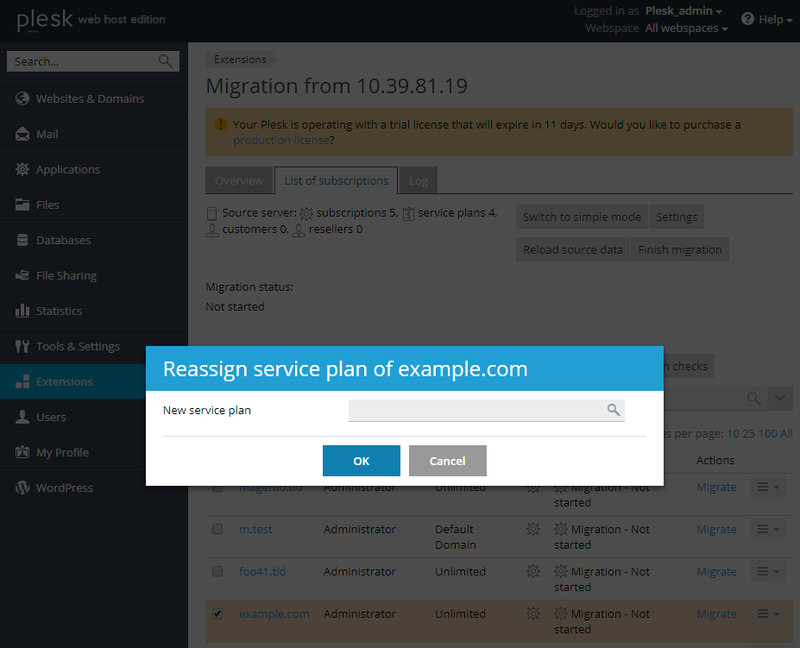 Log into Plesk on a target server and rename the system user of the subscription to avoid conflicts during migration. Open Extensions > Plesk Migrator > [select subscriptions to migrate] > Switch to advanced mode. Reassign affected subscription to hosting plan which exists on the target server: select the affected subsription > click Reassign > Service plan > enter the name of the service plan which exists on a target server > OK.